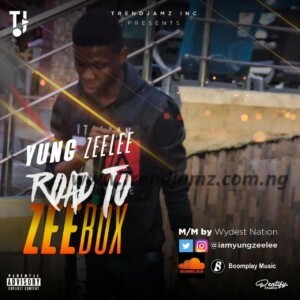 In a month time from now the Long Anticipated Mixtape Album “ZeeBox” From The Self Acclaimed Blogger #ThaCrazyBlogger and a Rapper “Osisanwo Azeez Adebowale Popularly Known As “Yung Zeelee” should be out. He’s back with a new single to support the project which he titled “Road To ZeeBox” where he explained a lot of things for the project. ZeeBox Tha Mixtape drops 18th of Ocotober, 2018 by God Grace. Production Credits Goes to Magnate For Wydest Nation.